TSI technology from Volkswagen today once again received the ‘International Engine of the Year Award’: the 1.4 litre TSI twincharger, which won for the ninth time in succession in the 1.0 to 1.4 litre cubic capacity category, is thus the most successful engine in the history of this international competition for engine technology. For several years, the pithy TSI brand has stood for intelligent downsizing from Volkswagen. 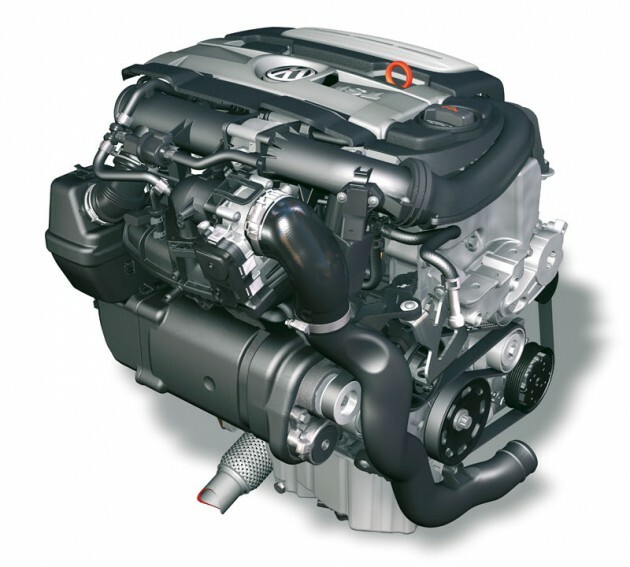 Despite their comparatively small cubic capacity the TSI engines produce, for instance, levels of power output that until not so very long ago only engines with a considerably bigger capacity were able to offer. The TSI engine is currently available in differing cubic capacity classes and levels of power output ranging between 66 kW / 90 PS and 221 kW / 300 PS. The first TSI engine was in 2006 the twincharger, now once again an award winner, which thanks to an additional turbocharger and mechanical compressor has especially high torque and is very efficient. The TSI twincharger is available in different power levels from 103 kW / 140 PS to 125 kW / 170 PS and continues to be offered for a multitude of models – in the Beetle, Jetta, Eos, Golf Cabriolet, Touran, Tiguan, Passat and Sharan. However, the downsizing is not yet finished: the latest addition to the TSI family is the 1.0 litre version delivering 66 kW / 90 PS in the new Polo TSI BlueMotion. This first one-litre, three cylinder direct injection turbo engine will be making its debut in the second half of the year, featuring fuel consumption of just 4.1 l/100 km and thus a CO2 figure of 94 g/km. Its predecessor, delivering an identical 90 PS, consumed 4.9 l/100 km (equating to 113 g/km CO2). With active cylinder management (ACT), Volkswagen has since last year also been offering a technology that enables an additional reduction in fuel consumption by temporarily turning off the second and third cylinder. The award for the 1.4 TSI was presented today in Stuttgart to Carsten Helbing, Head of Application EA888 and Alternative Fuels in the Volkswagen Petrol Engine Development Division. “Our successful TSI engines have for years been impressively demonstrating that the combination of cubic capacity reduction, direct injection and intelligent charging produces great dynamic performance while at the same time delivering low emission and fuel consumption figures,” explained Helbing at the award presentation. The International Engine of the Year Award is a competition that has been held annually since 1999, in which more than 80 motoring journalists from all over the world give awards to the best engines in a range of different categories. Factors incorporated into the assessment via a special points system include the journalists’ personal driving experience, fuel efficiency, engine noise and power output.